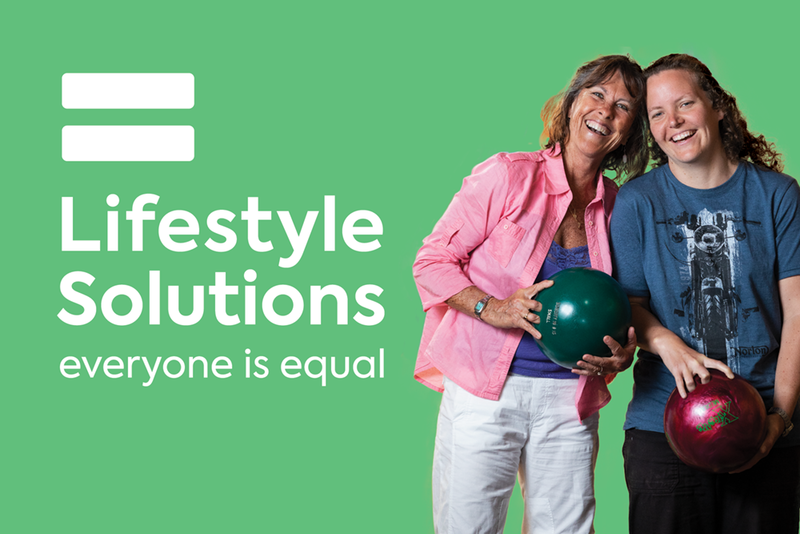 Lifestyle Solutions is a service provider for people with a disability, and child and family services. They have an operating budget of $130m, and 2,500 employees. The introduction of the National Disability Insurance Scheme (NDIS) changed the funding model for disability services from block government funding to a consumer-based model. The implications of this were that Lifestyle Solutions needed to be repositioned as a consumer brand in the disability marketplace. 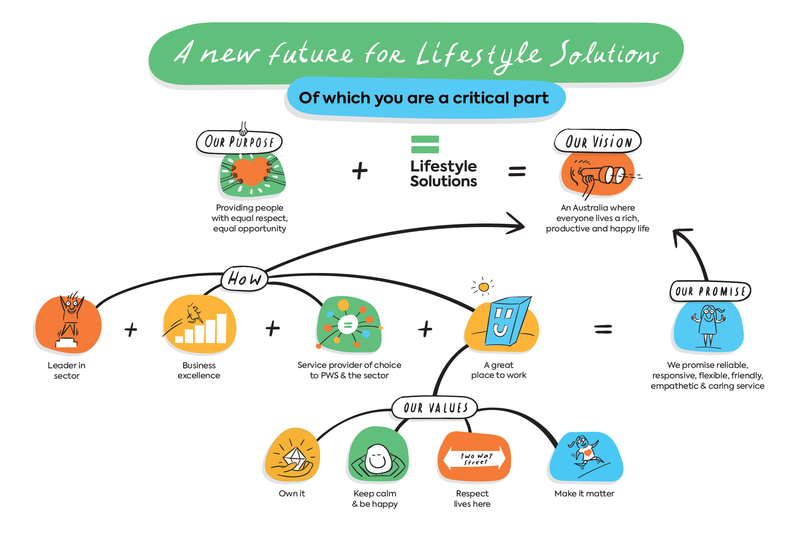 In addition, a new CEO had recently been appointed, and recognised the need to overhaul Lifestyle Solutions’ brand identity, messaging, and service offering. The task was to create (and then produce and deliver) the launch of the new-look-and-feel Lifestyle Solutions company and brand to the marketplace. We needed to position Lifestyle Solutions as a differentiated, high value, specialist disability services provider in the sector. 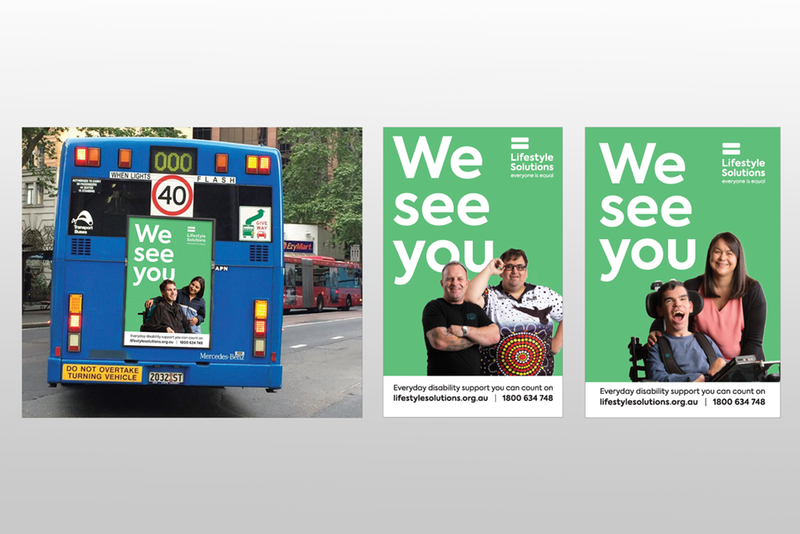 We needed to build awareness and drive consideration of Lifestyle Solutions among people with a disability and their families, within the disability services sector, and in the broader Australian community. And we needed to build a strong brand on the inside among the employees at Lifestyle Solutions – the people who actually support and care for the clients living with a disability. Our brand positioning hangs off the tagline, “Everyone is equal”. When we first shared this positioning, the response was, “Not everyone is equal. People with a disability aren’t as equal as those without one”. 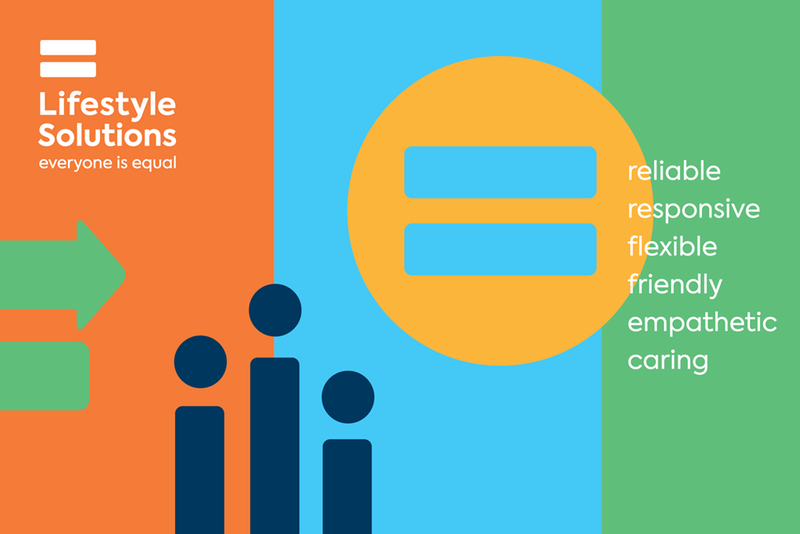 The = sign we used in the new logo represents equal treatment, equal access, equal opportunity, and equal in significance. This simple visual device stands for everything Lifestyle Solutions values and believes in. Everyday service and support you can count on. Our promise is pragmatic, and so is the mindset of our target audience. Yes, they do have big dreams and high hopes. But it’s what they get every day that matters most. They need to know they will be picked up at 10am and taken to the library: preferably by a nice person who is patient and caring. They need to know that the residential care house they live in is clean, tidy, and homely. These are their everyday needs and wants, and it all boils down to, “What can you do for me today?”. 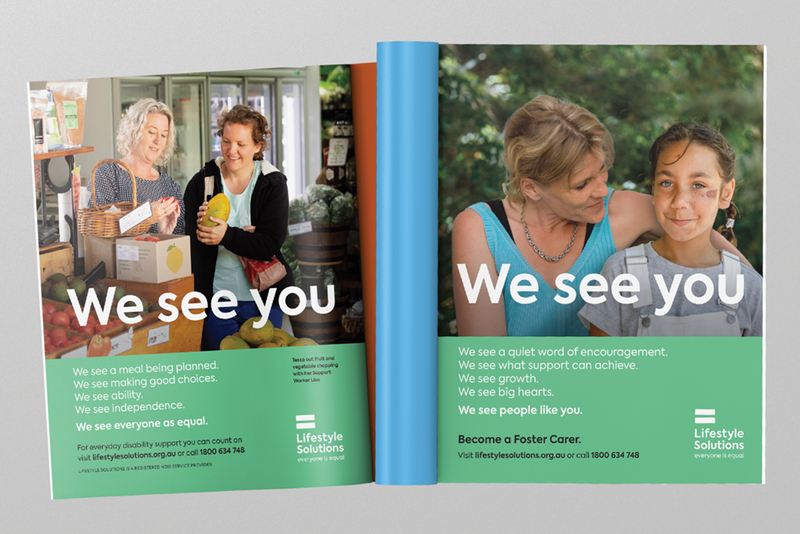 “We See You” is the campaign idea that brings our positioning to life. By saying We See You, we move past surface-level attributes, towards an appreciation of someone’s character, value, and spirit. It reveals respect and recognition of a person’s worth, no matter who they are. 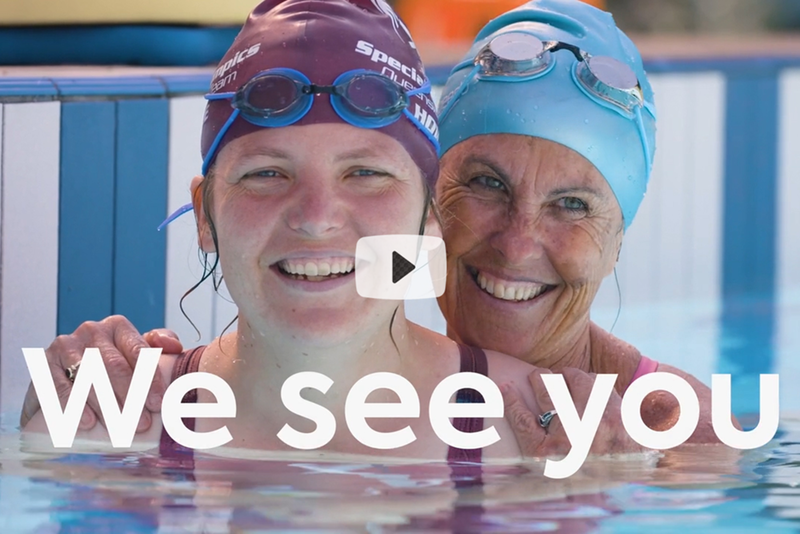 We See You is a powerful way of reinforcing our brand positioning that “All people are equal, and we see and treat them that way”. – Keep the layouts simple and easy. – Avoid patronising welfare-focused language. 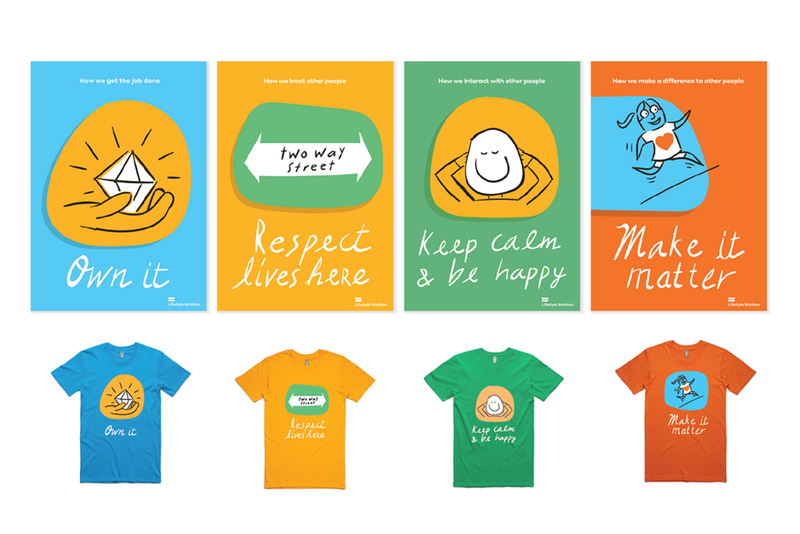 – Keep to everyday, simple language. 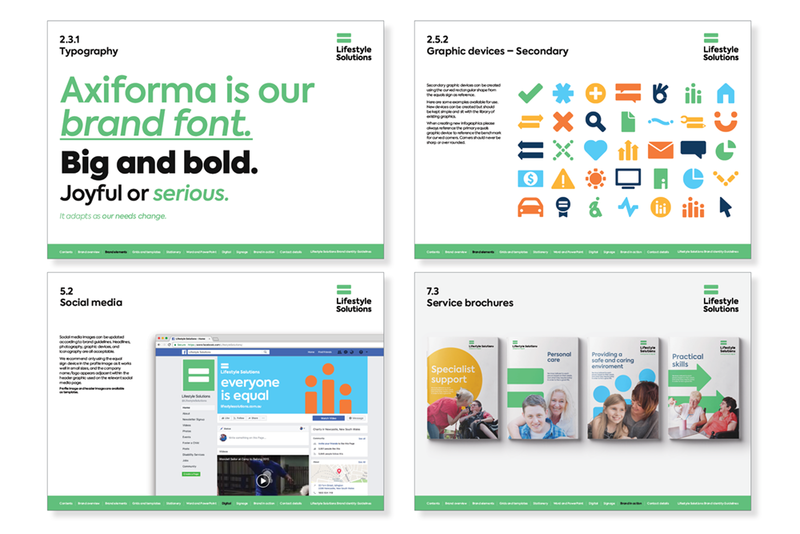 We launched the brand on the inside of Lifestyle Solutions – to its 2,500 employees – before going to market. A national CEO roadshow kicked off the launch and was followed through with a program of values-based activities and a peer-to-peer recognition program. Lifestyle Solutions went to market in October 2018 with a light-weight, two-month burst of bus, TV, print, and social media activity. Telephone enquiries to Lifestyle Solutions have risen from 200 to 1250 a month. A brand tracking benchmark study was conducted before the campaign launch. The second wave of brand tracking will be in market in April 2019.